Nina Grody began her career in one of the most competitive selling environments there is – at her family’s General Motors dealership in Hartford, Connecticut. With Nina as a member of the management team, the business generated $100M+ sales. In a male-dominated industry, it was one of the first female majority-owned GM franchises in the U.S. Working there, Nina learned how much “details matter.” She has lived by those words ever since. Nina pursued her passion for business and earned an MBA from Columbia Business School. 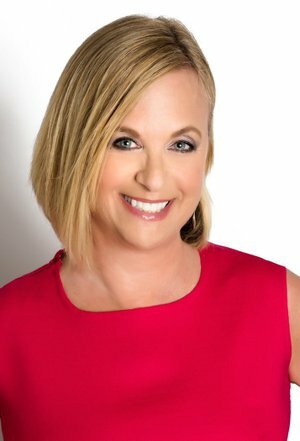 She went on to become an executive at Nissan North America and while there, helped launch the company’s first environmentally sustainable vehicles in the U.S. She also managed a commercial real estate holding company inspiring her to do more in real estate – specifically residential real estate – when she relocated to South Florida. Nina’s proven strength lies in her ability to identify what people want and need and then advocate for them with negotiating skills honed over many years. She works with her clients to locate the ideal living situation and then she helps make it a reality in the most seamless way possible. Nina is equally proficient as a seller’s agent – understanding how to prepare a home for sale, how to market it, how to network to the ideal buyer and how to negotiate on behalf of the seller. On either side of the table, Nina makes real estate deals that make everyone happy. Nina’s energy, intelligence, experience and connections make her someone you can rely on for some of the most important life decisions you will ever make. She believes more than ever details matter. And those details will make all the difference in the world to you.